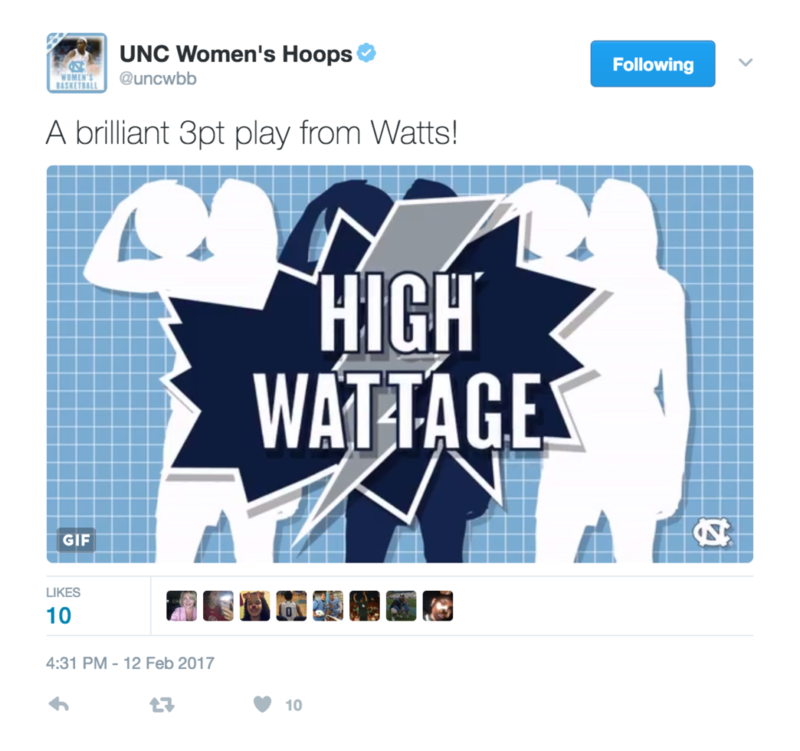 Created for the UNC Women’s Basketball team to use in their live Twitter commentary on games. 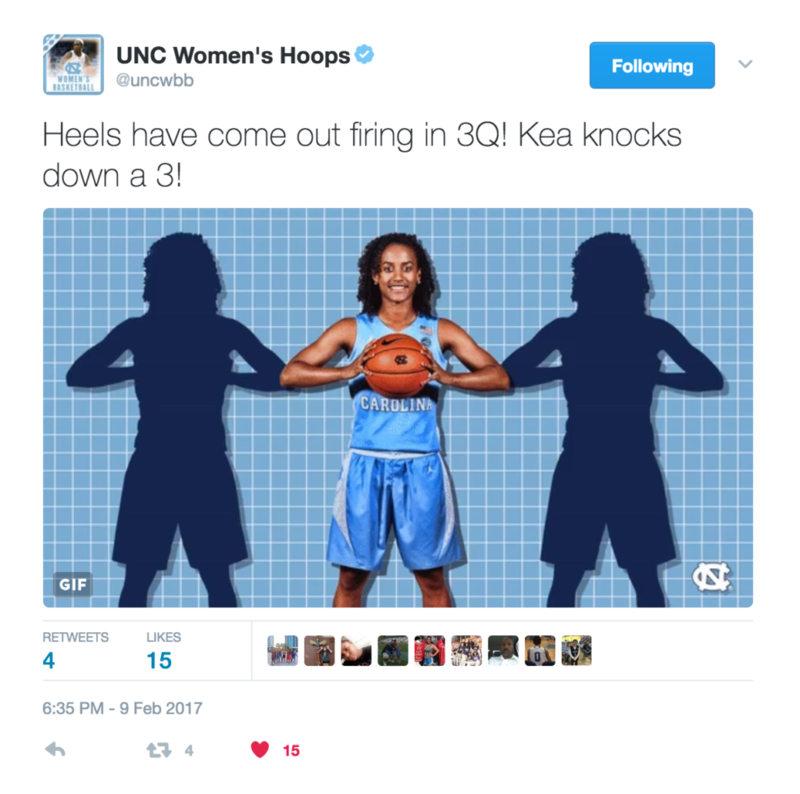 Each GIF plays on the last name of one of the three key players on the team. 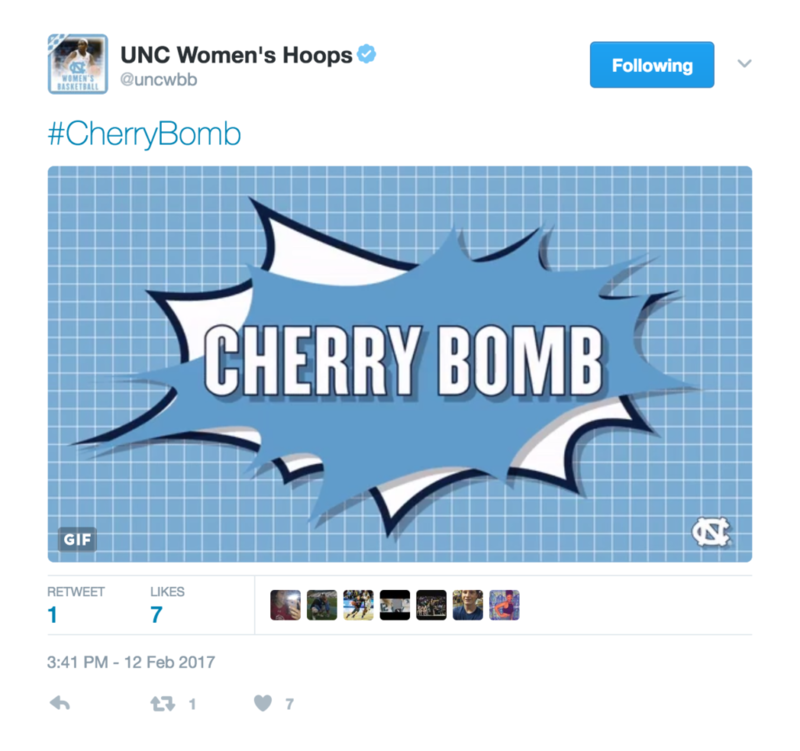 Inspiration came from the comic book “Kaboom!” graphics, and the background comes from the team’s “blueprint” theme for the season.